Card Review: 9.4 I've always liked this card. I much prefer the green borders of series two to the blue borders of series one. 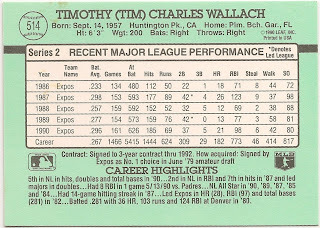 I bought copious amounts of these in '91, since the advent of two series made it twice as likely to pull a Wallach, and the fact there were two Wallach's in '91 Donruss series 2 again doubled the chances. 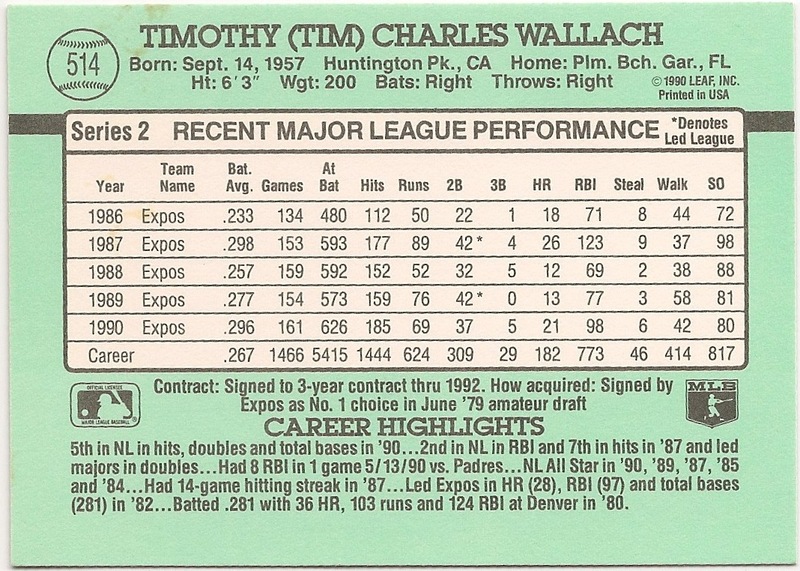 Making it more than 4x as likely to pull a Wallach than it was in pack of '91 Topps. 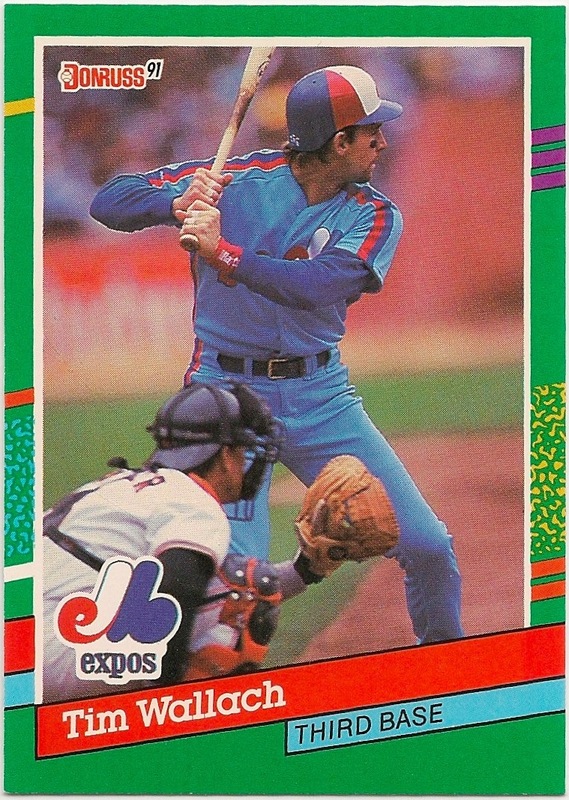 Fun Facts: *That's former (and future) teammate Gary Carter catching on the front of the card. I like your blog. The '88 Topps all star banner is cool. I guess I'm not the only one who counted how much of each card in my collection. In the 1980s, I had notebooks out the wazoo of all the cards ! had. Thanks for the positive feedback. 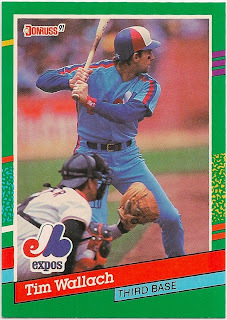 If there are any particular Raines cards your looking for, shoot me an email, I had to buy a lot of odd-ball Expos team sets over the years to get the Wallach.